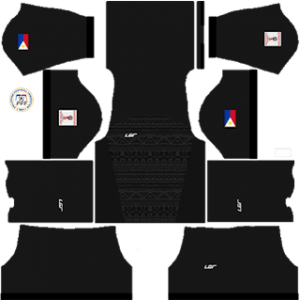 In this article, you can find and download Dream League Soccer (DLS) Philippines Kits and Logos 2018, 2019 Edition with URLs. One of the famous football team in Asia and considered as Azkals. Philippines National football team is represented as Filipino. The team does not have a good record in Football World Cup and other Championships. The Philippines has never qualified for World Cup. The team won the second place in the AFC Challenge Cup in 2014. Phil Younghusband is the captain and top scorer of the Philippines National Team. The Philippines Kits and Logo is very simple and more attractive. Everyone would like to play with the Philippines team in Dream League soccer. 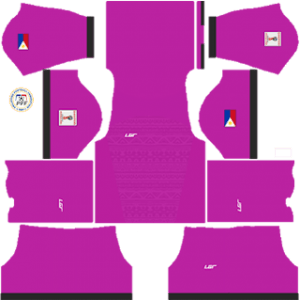 Get new Dream League Soccer 2018-2019 Philippines Customized Kits by using the URL to download .png images. All of the kits are in the size of 512×512. 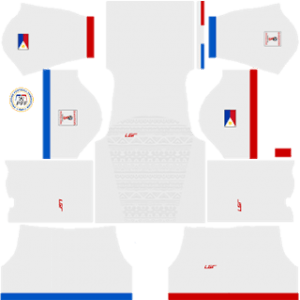 Most of the portions of the Philippines Dream League Soccer Kits 2018 is white and red with blue strips. There is a LGR logo on the Philippines Home kit. You can create your own team like the Philippines National Team for DLS 2018-2019. To download the DLS Philippines home kit click here. The Philippines away kit comes with some strips and its design looks beautiful. The Philippine team wears this dream league soccer away kit while they are not playing the match in their native country. The Philippines Goalkeeper Home kit is always different from the whole Philippines team. It comes with dark pink and team logo on it. The Goalkeeper Away Kits is very attractive and comes in dark black color with some strip and logo on it. You can download and apply it to your game. You may use the Philippines Logo in DLS you just click the URL to download for your favorite DLS team. It is circular in shape with the name of the team written on it.